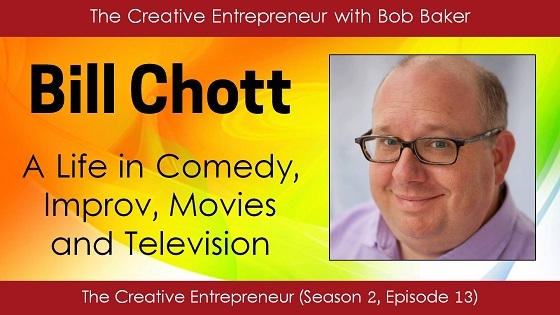 Here's an inspiring, wide-ranging interview with Bill Chott on his illustrious career. He's worked with Tina Fey, Amy Poehler, Ashton Kutcher, Robert Smigel, Dana Carvey, Johnny Knoxville, and more. Bill discusses what he learned from Stephen Colbert and Second City in Chicago, as well as his top tips on "planning" a career in comedy and acting. It ends with a master class on improv acting principles. Well worth a listen! Note: Bill speaks a lot about his dad in this interview. Sadly, a few weeks after we recorded, his father passed away. What a fantastic tribute this is to a man who greatly influenced Bill's life.